If there’s one thing design teams must master, it’s a fast and smooth launch process. Slow launches keep inferior and underperforming websites alive longer. While the new website waits to launch for weeks and months on end, current website traffic continues to have a bad experience. The difference in launching on time, and having your launch date drift weeks or months down the calendar is found in one thing: process. A proven process ensures website launch dates don’t become the victim of calendar drift while the design team spends weeks chasing loose ends. Calendar drift is the ‘Achilles Heel’ of agency profitability and scale. Having projects and tasks sitting at 80-90% complete for weeks on end doesn’t just hurt the bottom line, it damages employee morale as well. Failure to finish negatively impacts both the agency and the customer. And it can be avoided. 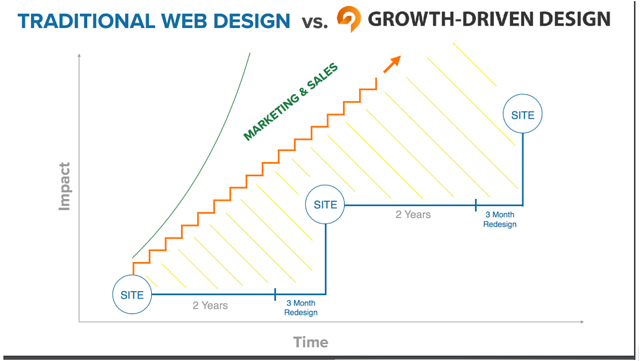 A proven, growth-driven design process makes a world of difference. Knowing exactly what must be done to launch, and knocking each item down one-by-one, always translates to faster launches, and a better experience for customers as well. 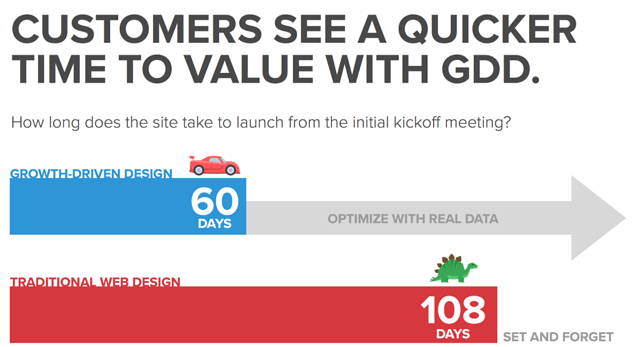 Faster time-to-value means faster positive business impact from the website design project. This alone will make your clients much happier, and cause them to keep your retainer longer. When everyone is on the same page, and clearly understands the process, everyone works toward the same goal. A large website redesign is daunting in its entirety, but weekly sprints are easy to accomplish on time. Each launch objective should be broken down into smaller, time-boxed sprints. Launching in 60 days can be comprised of eight one-week sprints, or four two-week sprints. Keeping your entire team on schedule for these smaller, deadline-driven objectives is much easier than trying to manage a website redesign project in its entirety. Too many companies approach their website project by committee. Inevitably it means hours of discussion and debate, usually over things that fail to matter to the website users. Countless revisions and edits will be debated and requested with little-to-no business impact as a result. Assign accountability for each page to a single stakeholder. They can seek the input of the entire team, they can host debate, and do rounds of feedback internally if they desire. But, when the designers and copywriters are in the meeting, the decision is made, and the site moves on. Level of skill is not the primary difference between good and great design teams. The glaring difference is that great design teams are better at execution. It’s not your team’s ability to design that determines your value, it’s your ability to execute great design at scale without timeline drifts or drops in quality. Growth-Driven Design has not only impacted our bottom line, it has helped us streamline our process, avoid scope creep, and strengthen client relationships. 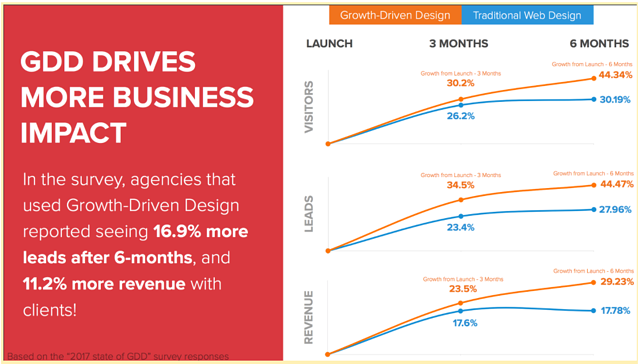 With Growth-Driven Design we cut typical client projects down from 6-months to 6-weeks, shortened our sales cycle from 9-months to 4-weeks, and 6X our revenue in under a year. There are no downsides to employing a smooth, agile launch process when it’s understood and followed by everyone on your team. 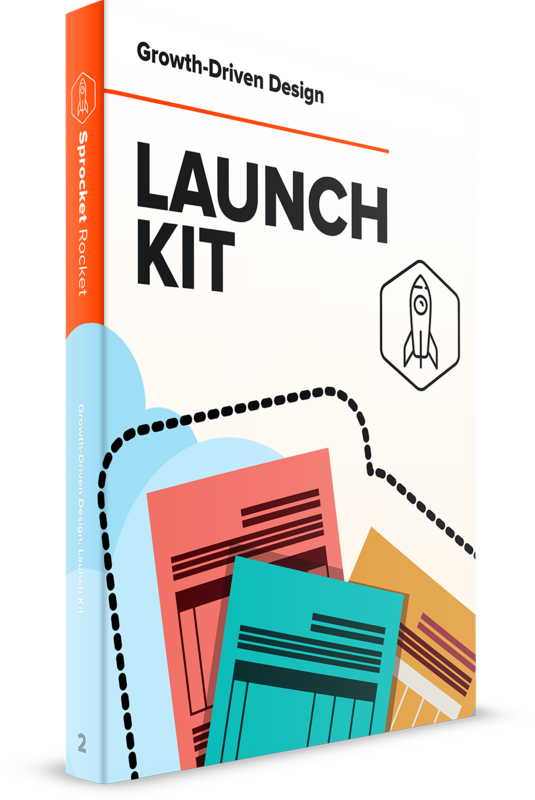 If you want to see how we move from concept to complete in 60 days, download our free Launch Kit. Signup for our FREE certification to get video training, tools and templates to help you make the transition into a growth-driven organization. Made by the Lean Labs GDD Team.